If you are shopping for a safe to conceal and protect your valuables in a commercial or residential setting, a floor safe is an excellent choice. This type of safe sits underneath your floor. You can access it from the top. Floor safes are best if you only need to store a few items since their dimensions are generally small. They do offer some advantages over other types of safes however, particularly when it comes to fire protection and resistance to tampering and theft. Whatever material your floor is made of, there is a model of floor safe out there which you can install. There are a lot of floor safes on the market in 2018. To save you time searching for the best, we have assembled a chart of high-quality products. You can either shop for floor safes now, or you can keep reading to educate yourself more about the different features and considerations which are important when selecting a floor safe. 1. How many valuables do you have to store? If you require a large safe to store a lot of valuables, you may find that a different type of safe is a better fit for your needs. The majority of floor safes are compact, and thus are best used for storing only a few smaller items. 2. Where will you be installing the floor safe? Floor safes are wonderfully versatile. They can be installed in wood or concrete, and can be placed in a variety of settings: retail stores, gas stations, offices, homes, and pretty much anywhere else you can imagine. Not every type of floor safe can be installed in every type of floor material, however, so you need to choose a compatible model. You also need to know the floor depth so that you can choose a unit with the right dimensions. Another reason to think about location involves fireproofing; the level of fire resistance your safe will need will depend in part upon the material of flooring around it. You can read more about that in the section on fireproofing further down. 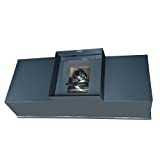 Floor safes on the whole are not the easiest to install, nor are they the most accessible to use. For this reason, some buyers choose to have them professionally installed in their floors. If you do want to handle the installation yourself, make sure that you are buying a model which has been designed to be relatively easy to anchor inside your floor. Pick a model which has been rated as safe for your foundation. Thick steel construction is preferred when shopping for a floor safe. Look for durability features such as powder coating and a drill-resistant hard plate for the lock. Ideally, the safe should have a rating such as TL-15 or TL-30 which proves it has withstood extensive attempts at tampering through testing. You can also look for burglary ratings such as “B” or “C” class, each of which includes particular specifications for construction and durability. If you have a “B” class safe, for example, that means that the safe was built with a steel body which is less than half an inch thick and which includes doors that are under 1-inch thick. A “C” class safe features a steel body which is half an inch thick at the minimum, and which includes a steel door measuring an inch or more in thickness. Some people like keypads, while others prefer combination locks. Still others like a biometric design which allows them to use their fingerprints to access their valuables. Shop for a floor safe which includes the lock type you prefer. If you have other household members or employees who will be using the safe, get a safe which allows you to store as many fingerprints or keypad combinations as needed. That way you will not always need to be present if someone else you trust needs to access the safe. One particular feature you should pay close attention to is the door jamb. Since the safe will be anchored inside your floor, the door will be the only part of the safe that is exposed. This makes it the safe’s main vulnerability. You do not want to see tack welding here; you want to see a weld line which is right around a couple of inches underneath the top edge of the floor safe. This ensures that the jambs won’t give way in response to a blunt attack on the door from an intruder. One of the key benefits of a floor safe over other kinds of safes is fireproofing—at least if you happen to be installing it in concrete. The concrete acts as a barrier to a blaze. Coupled with a fire resistance rating from the safe itself, this confers some of the best fire protection money can buy. 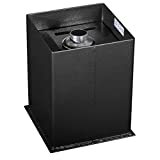 Now, if you are installing the floor safe in wood, not concrete, you will need to shop for a model which includes a higher fireproofing rating. The wood flooring will provide no protection to the safe. Indeed, it may actually increase the likelihood that the contents of the safe will burn. So pick a model which can withstand exposure to high heat, protecting paper or electronic items as needed. Waterproofing is arguably an even more important feature than fireproofing if you are shopping for a floor safe. When you install your safe, you will be creating a hole for it in your floor. This hole may routinely fill with water from hoses, sprinklers and so on. That means that the contents of your safe will get wet if the safe does not provide protection against moisture. 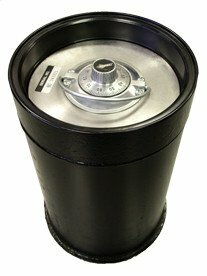 Can you simply purchase watertight containers to put inside your safe? Sure, but you’ll still have to deal with mopping out the interior of your safe. It is better to just go with one which is waterproof to begin with. When it comes to choosing a floor safe, you need to pick a model which offers the utmost stability and security. One great option is the Protex IF-1500C. 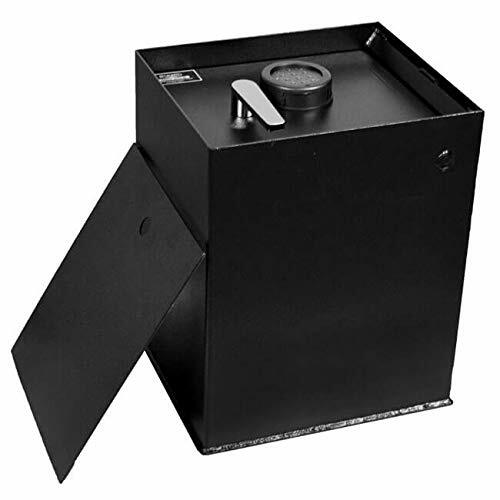 This safe provides you with 0.70 cubic feet of space. Most users should be able to get it installed within several hours. Solid construction protects your valuables. This safe includes a door made out of solid steel, held in place by five ¾” chrome plated locking bolts. The safe features pry-resistant design. The Protex IF-1500C comes with a dead bar which prevents intruders from prying open the door. 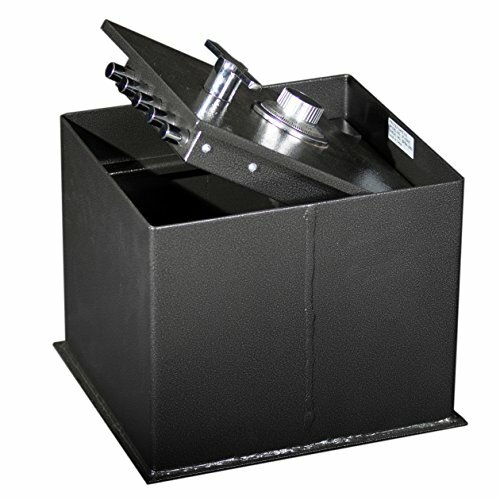 A body anchor base plate holds the safe in place once it has been properly installed. There is a damper shock for your convenience. With other safes, you are stuck holding the door open while you rifle around inside for what you need. This feature holds it for you so that you can free up both hands to grab what you need. Being as it keeps the door from slamming shut and crushing your fingers, it is also a great safety feature. The dial can be fussy. The dial on this combination lock requires a fair amount of precision to operate. If you do not turn it just so, it will not let you in. How much of an issue this will be (if any) depends entirely on how accurate you tend to be when turning dials. Are you shopping for a floor safe to use in a commercial setting—or just looking for that same level of quality and integrity for your home safe? Consider the Amsec C7 STAR Safe. This tubular body floor safe with its lift-out door is a top-shelf choice for protecting cash or other valuables from burglars, fire, and water. Solid brand reputation and commercial quality design. The Amsec name is known throughout the commercial world for manufacturing the gold standard in floor safes. 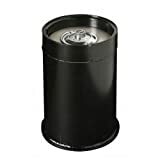 For more than half a century, Amsec floor safes have provided business owners operating retail chains, gas stations, and other settings with the means to protect their valuables. Strong lock and bolts. Rest assured knowing that your valuables are being protected by a UL Group II key changeable lock reinforced with a revolving carburized hardplate. As to the bolts, there are three of them. To shear them requires more than 25,000 pounds of force. Water-resistant dust cover. While this is not the same as full waterproofing, it is a great extra feature which can provide additional protection to your valuables. The instructions are hard to follow. When it comes to a sturdy floor safe with a spacious design, the Stealth B2500 is a fantastic choice. With exterior dimensions of 2-1/2″ L x 14-1/2″ W x 17-3/4″ D and heavy steel construction, the B2500 is an excellent option for either a home or commercial setting. The safe features sturdy construction with strong bolts. Solid steel has been used in the manufacture of the B2500. The door is ½” thick, and includes an attractive chrome handle. You can open it so that it points straight upward, which ensures that it does not get in your way when you need to look or reach inside your safe. The three locking bolts are also made from solid steel and are extra-large to offer superior strength. The door is spring-loaded. This door is quite heavy, so the spring-loaded feature is a very helpful one. It makes it much easier to get the door open; even with the spring in action, you can feel how hefty it is. The large dial is easy to read and turn. While precision is needed to operate the dial, it is large with easy-to-see markings. This safe comes with a dust cover. This protects your safe from scratches and dust. The dial can require precision. Getting the safe open in a hurry may be a challenge since you need to be very precise when you are turning the dials. This is par the course with combination locks however, so should not be a big deal if you are used to using them.